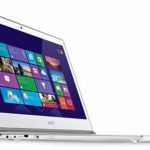 Good news, Best Buy now has the Acer Aspire M5-481PT-6644 Ultrabook 14″ Touch-Screen Laptop w/ Core i5-3337U CPU, 6GB DDR3, 500GB HDD, DVD±RW/CD-RW, Windows 8 on sale for $599.99, shipping is free. Our price research shows this is now the best price for this Acer touch-screen laptop, we save $100 compared to the regular price, so I think it's a pretty good deal. 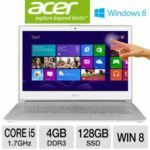 The Acer Aspire M5-481PT-6644 Ultrabook 14″ Touch-Screen Laptop highlights a 1.8GHz 3rd Gen Intel® Core™ i5-3337U processor, 6GB DDR3 memory, 500GB Serial ATA hard drive (5400 rpm), 14″ LED-backlit LCD high-definition widescreen 10-point multitouch display at 1366 x 768 resolution, Intel® HD Graphics 4000 with 128MB dedicated video memory. 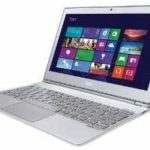 Other features include: Built-in 1.3MP HD webcam and digital microphone, 2-in-1 media reader, Intel® Turbo Boost Technology, Multiformat DVD±RW/CD-RW drive with double-layer support, 802.11a/b/g/n WLAN, 2 USB 3.0 ports, 3-cell lithium-polymer battery, and more. 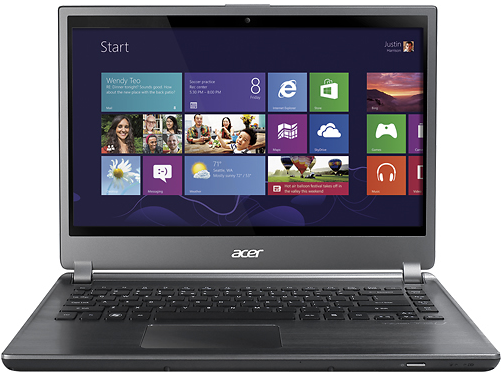 The ultrabook is running on Microsoft Windows 8 64-bit operating system. No need to say, such a configuration is good enough for our daily use, people are very happy with it. 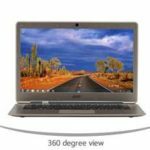 So if you are looking for a quality 14″ touch-screen ultrabook for a reasonable price, I think the M5-481PT-6644 could be a good choice. What do you say?